WASHINGTON (Dec. 3, 2018) – The winter holidays are a time to celebrate with loved ones, and we know that chocolate and candy can add to the enjoyment of the occasion. This year, the National Confectioners Association announced the launch of the brand new Winter Holidays Central digital hub to share fun facts and resources for consumers seeking to manage their sugar intake, and learn how wintertime treats can play a unique role in holiday traditions. 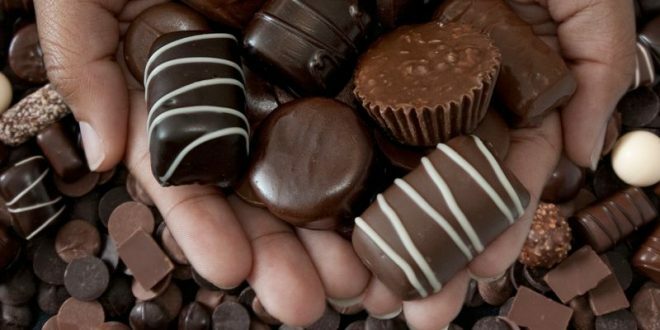 Throughout the year, most Americans enjoy chocolate and candy two to three times per week, averaging about 40 calories per day. Americans understand that chocolate and candy are treats and use moments like the holiday season as an opportunity to talk about balanced treating. Nearly 90 percent of parents use the winter holidays to discuss the importance of balance with their children, and while most report having these conversations year-round, many use the holidays as a conversation starter. America’s leading chocolate and candy companies have come together for a five-year commitment with the Partnership for a Healthier America to provide consumers with more information, options and support as they enjoy their favorite treats this holiday season, and year-round. The winter holidays are a moment for sharing and enjoying treats with loved ones. In fact, 93 percent of Americans say they plan to include chocolate and candy in stockings or give confections as gifts to friends and family this holiday season. Foil-wrapped chocolates are the stocking stuffer of choice, followed by candy canes and small boxes of chocolates. #4 – What’s the Right Way to Enjoy a Candy Cane? When it comes to how Americans enjoy a classic seasonal favorite, the candy cane, a recent survey showed that 72 percent of Americans enjoy a candy cane starting on the straight end, while 28 percent start on the curved end. For more information about chocolate and candy and the winter holiday season, including tips and more fun facts, please visit AlwaysATreat.com/WinterHolidaysCentral. The National Confectioners Association is the trade organization that advances, protects and promotes chocolate, candy, gum and mints, and the companies that make these special treats. As the leading association for the U.S. confectionery industry, NCA helps ensure the public understands and appreciates the unique role that chocolate and candy can play in a happy, balanced lifestyle. Confections are produced in all 50 states, creating jobs for approximately 54,000 workers in more than 1,300 manufacturing facilities across the country. For every job created in confectionery manufacturing, another ten are supported in related industries. In total, more than 607,000 American jobs are supported by the U.S. confectionery industry. America’s leading chocolate and candy companies support the Always A Treat Initiative, a commitment to transparency, portion guidance and choice, and consumer education. Learn more at CandyUSA.com, or follow NCA on Facebook, Twitter and Instagram.